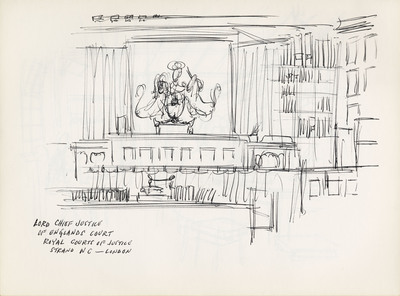 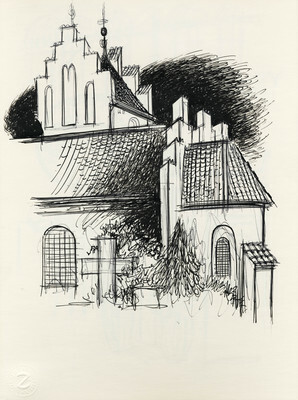 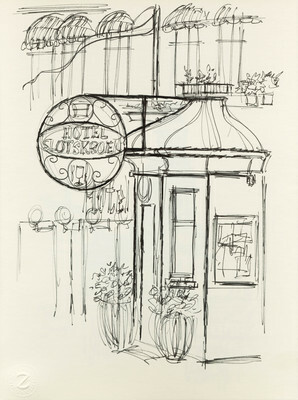 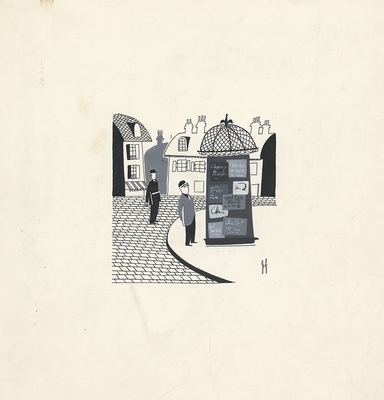 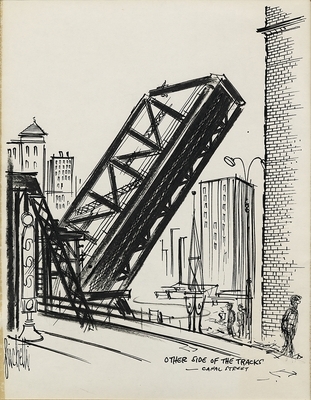 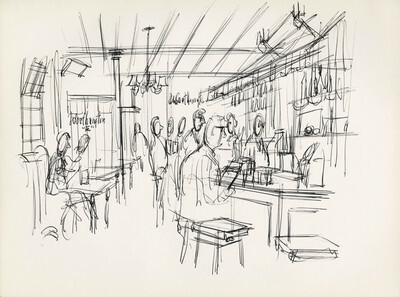 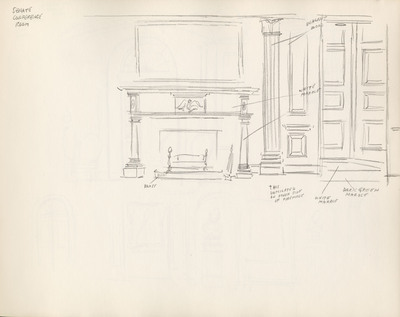 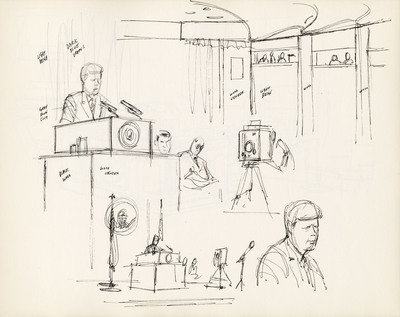 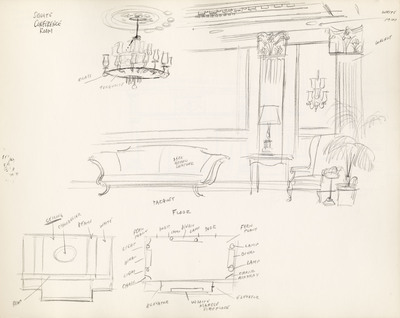 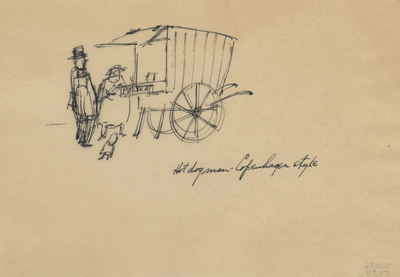 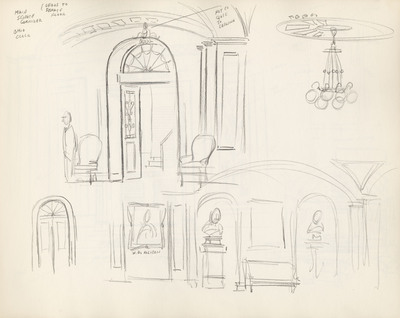 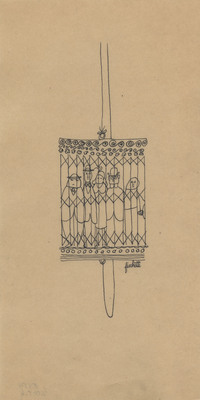 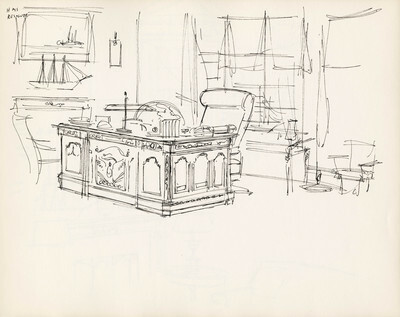 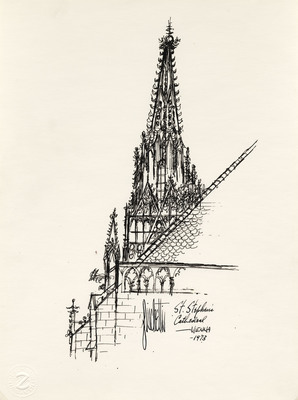 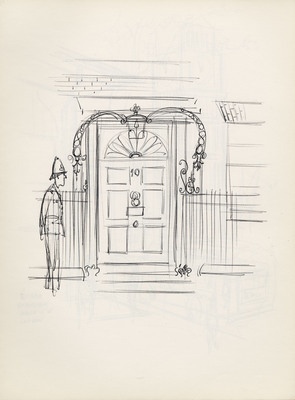 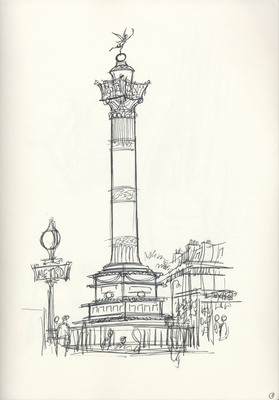 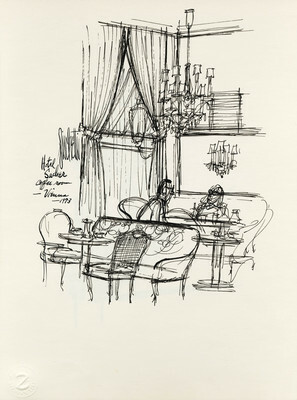 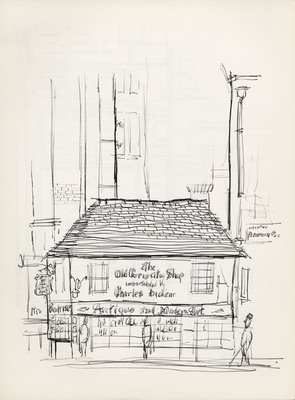 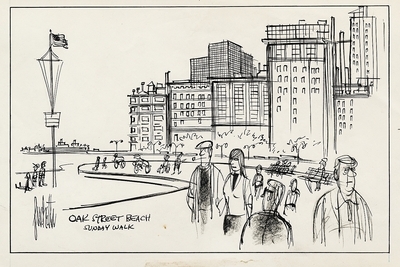 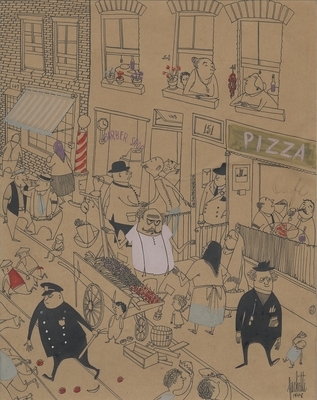 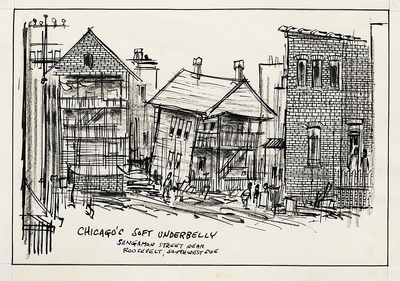 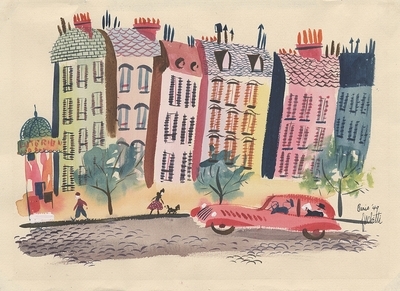 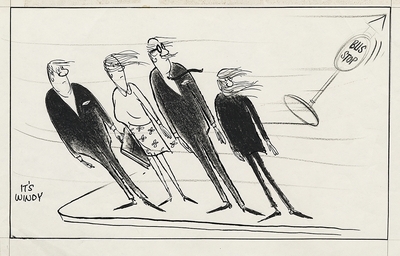 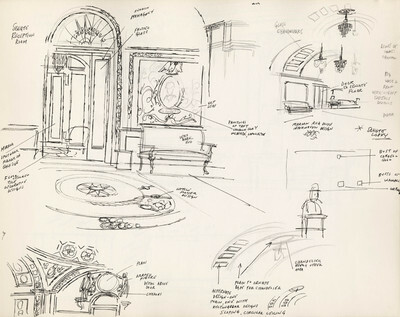 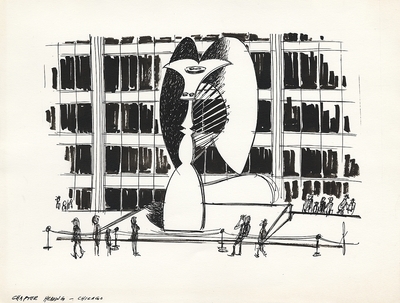 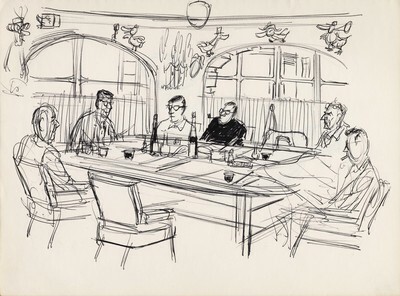 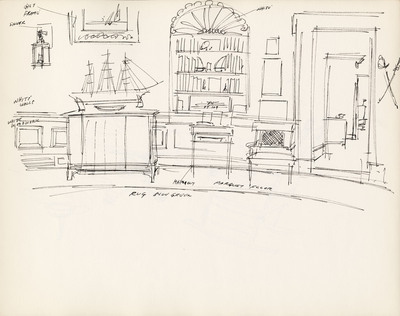 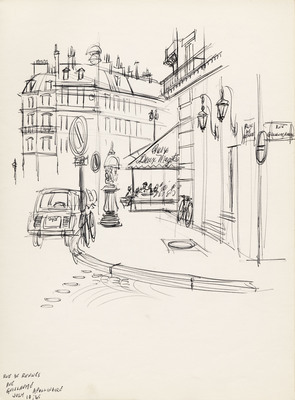 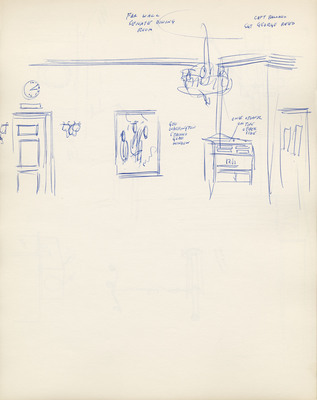 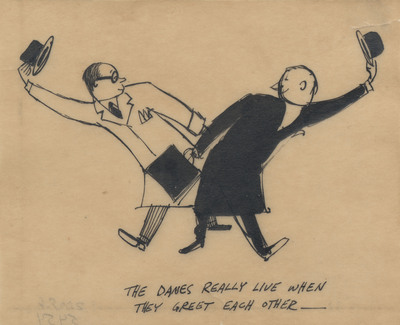 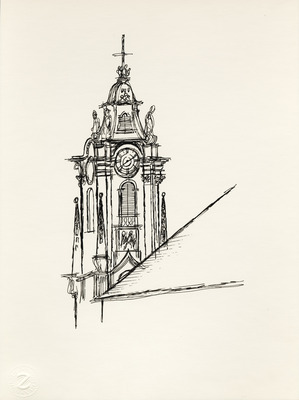 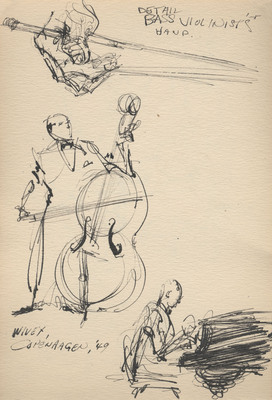 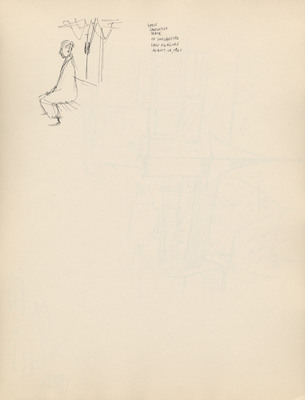 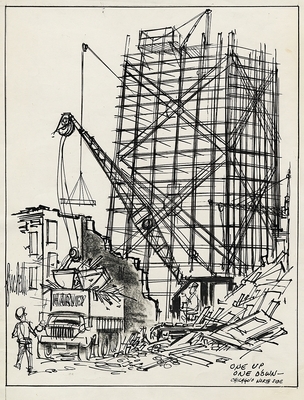 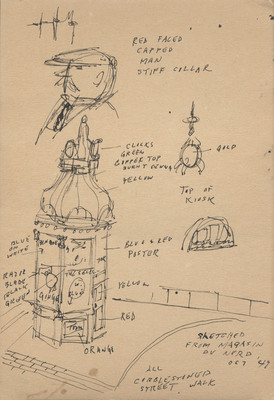 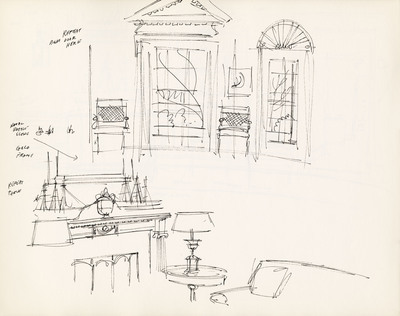 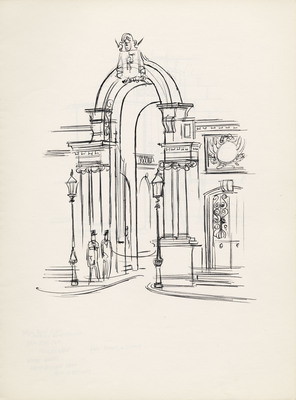 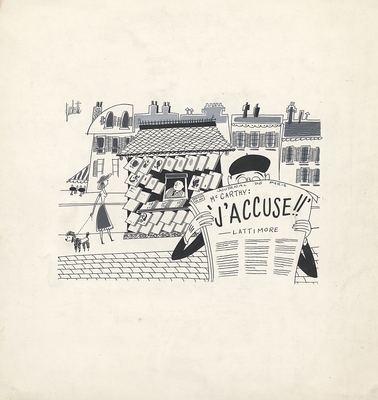 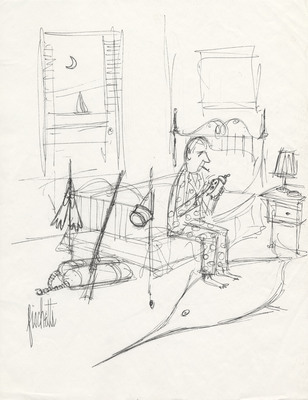 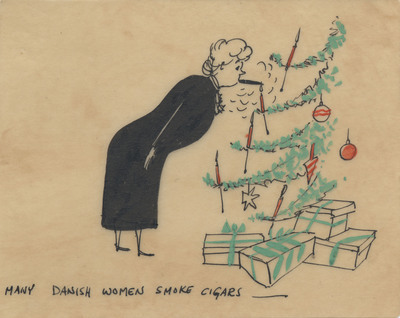 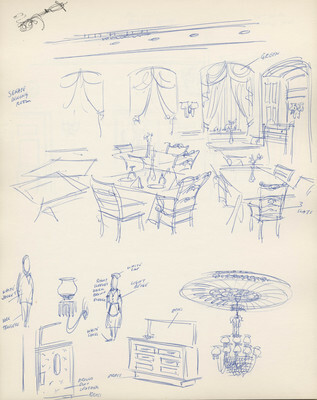 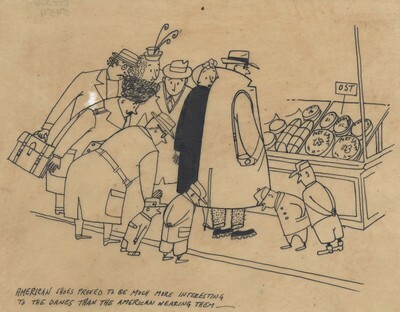 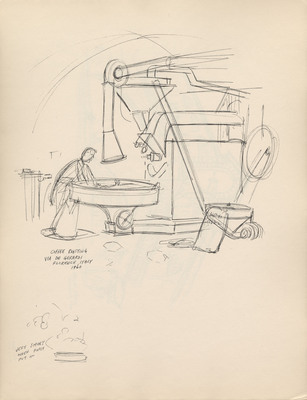 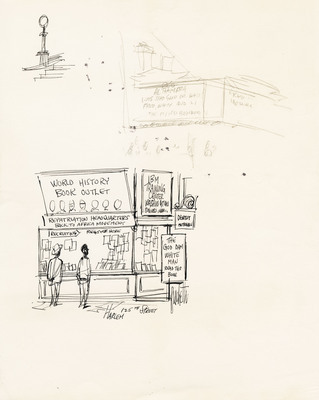 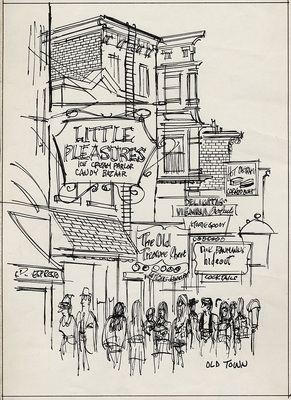 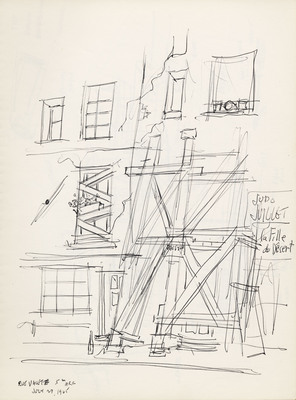 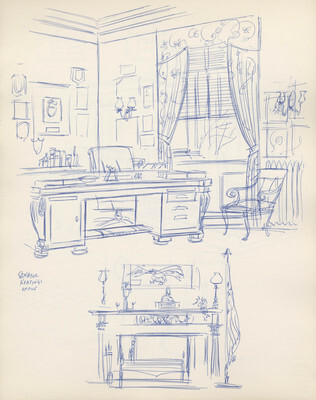 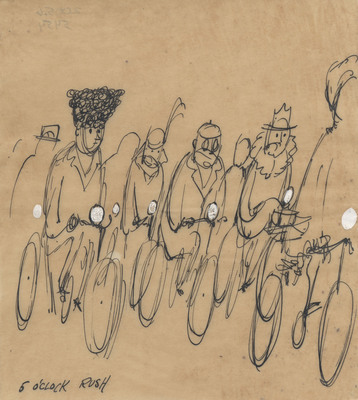 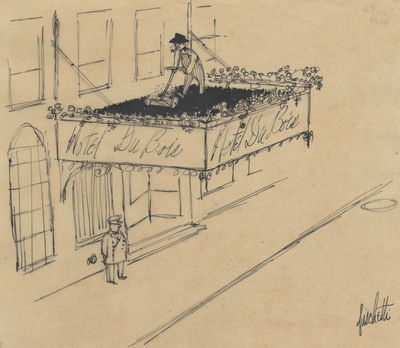 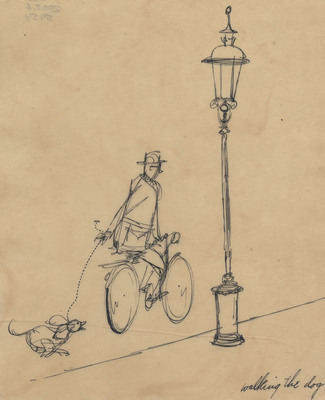 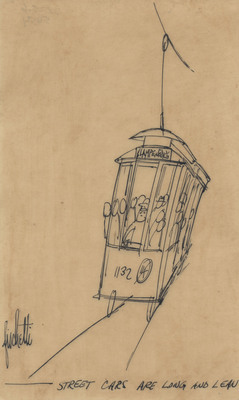 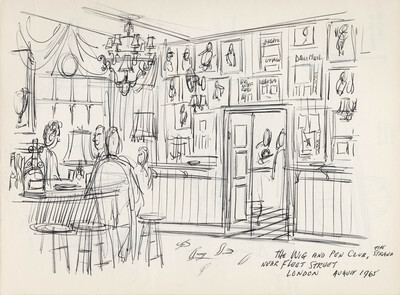 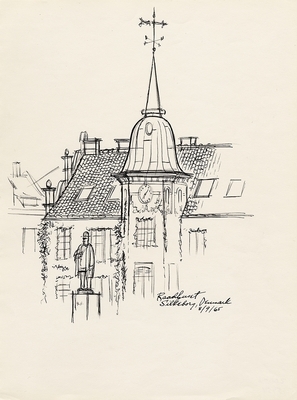 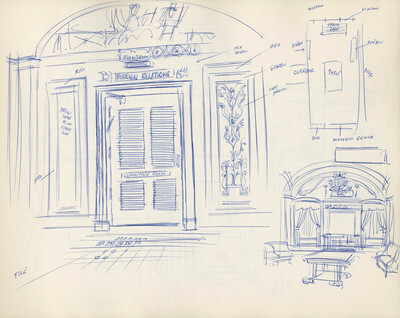 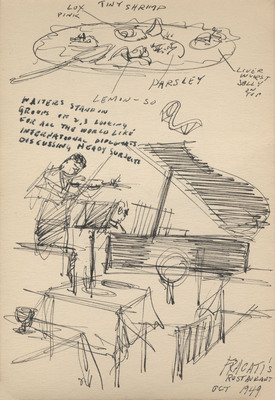 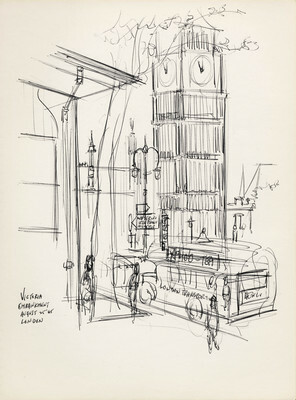 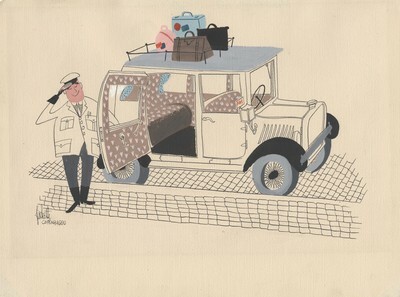 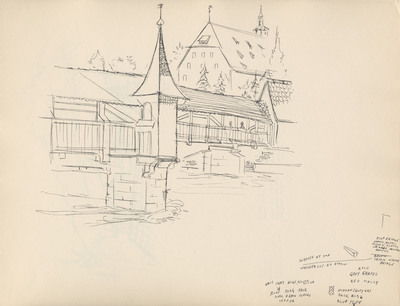 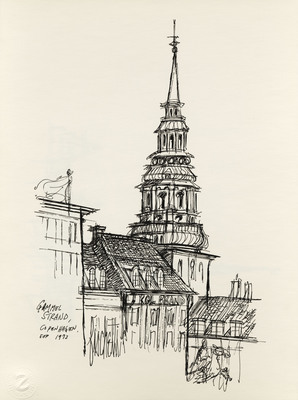 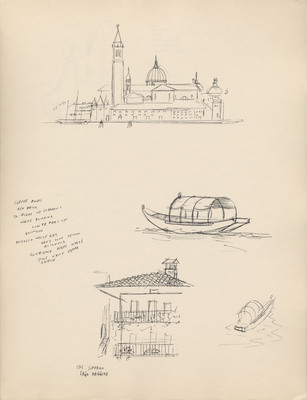 These selected drawings were created by John Fischetti on paper and in notebooks from his travels to Mexico, France, England, Greece, Austria, Switzerland, Italy, Denmark, and Washington D.C. Also featured are drawings from Chicago and New York, both places where he lived and worked. 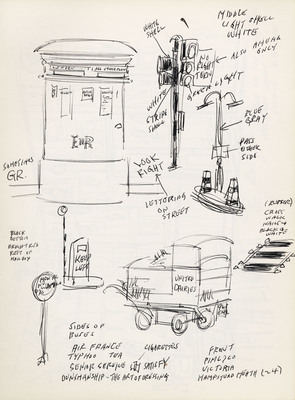 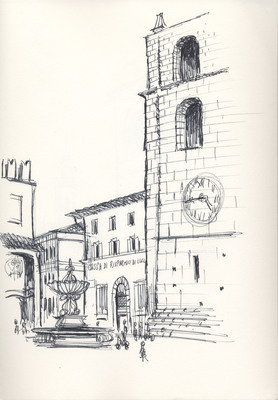 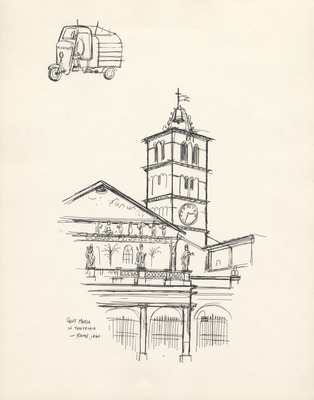 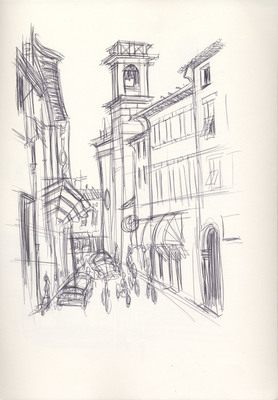 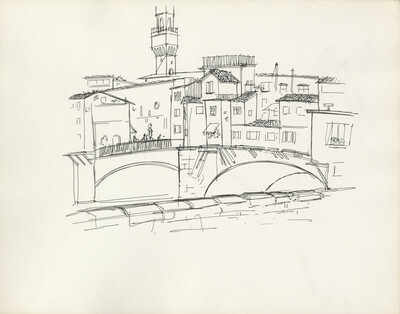 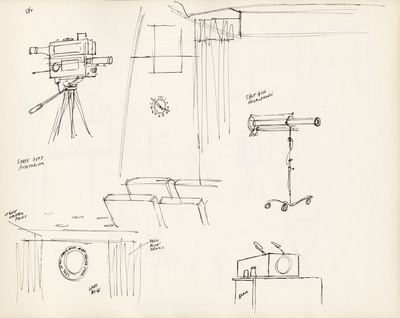 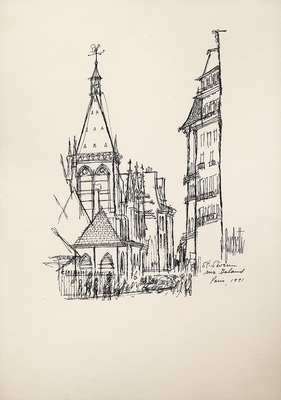 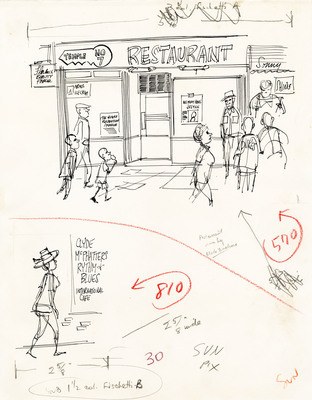 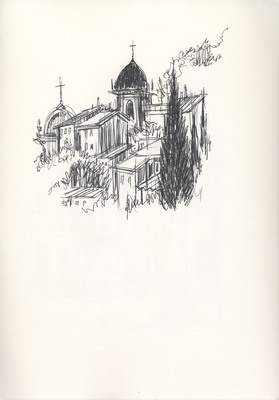 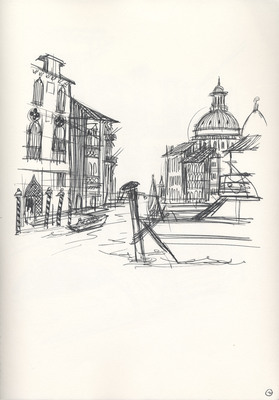 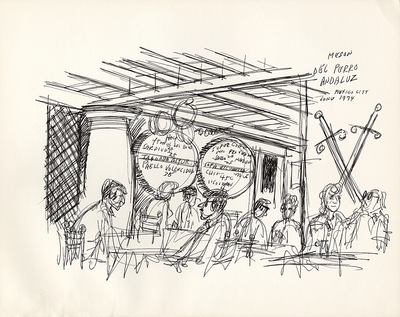 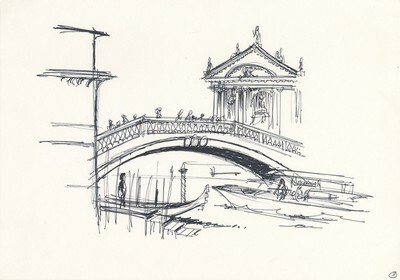 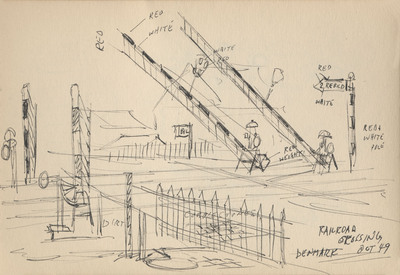 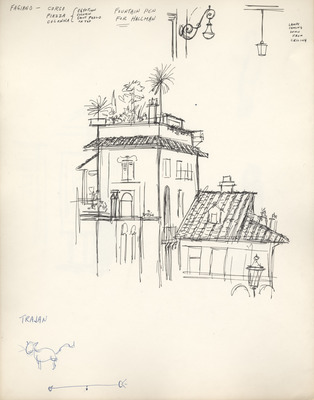 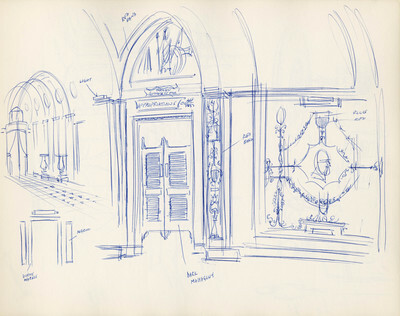 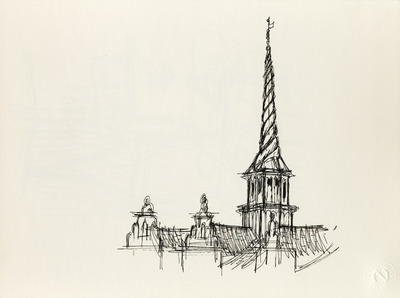 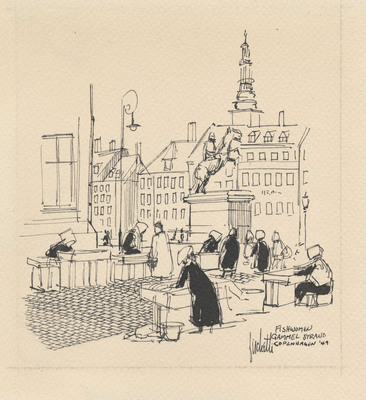 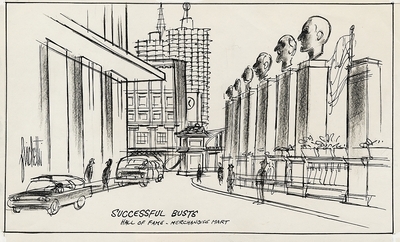 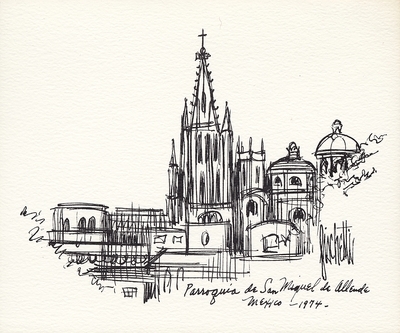 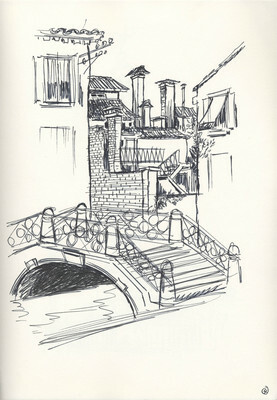 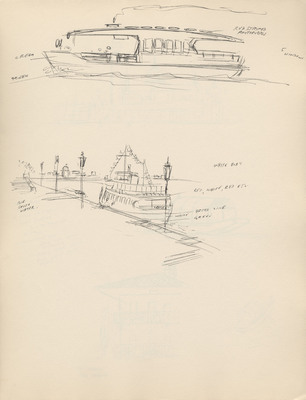 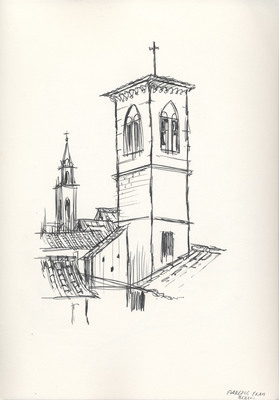 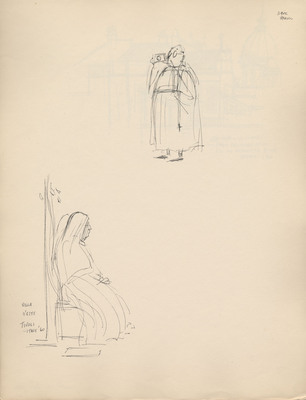 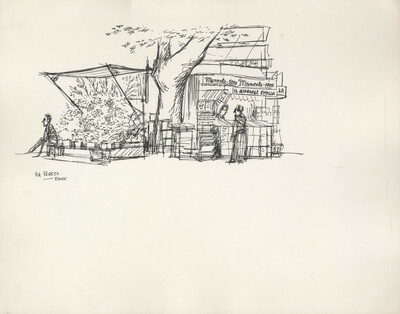 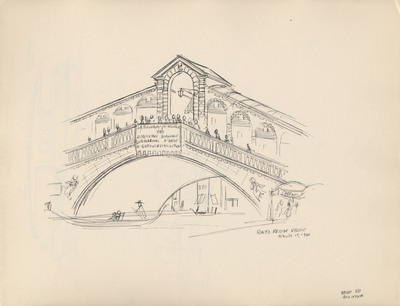 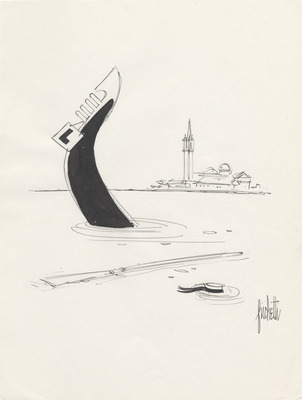 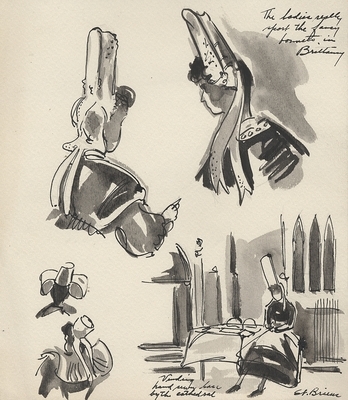 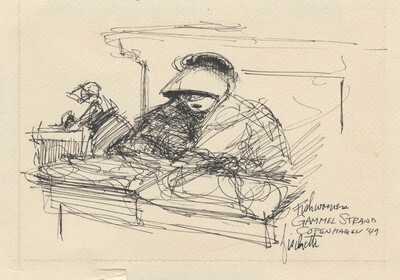 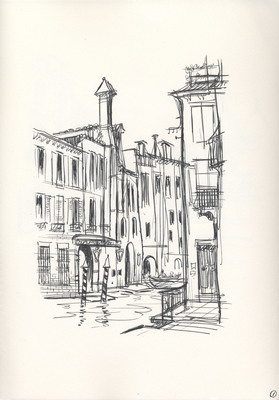 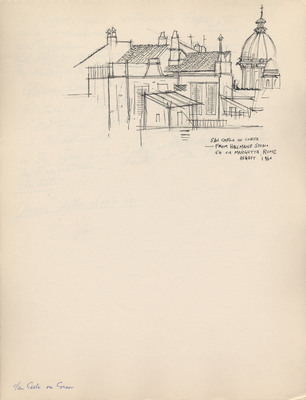 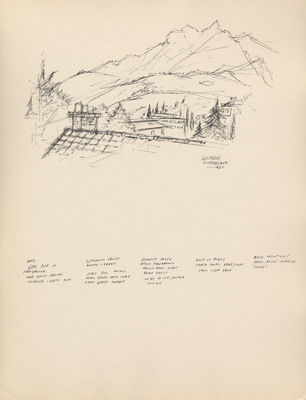 In contrast to his editorial work, these sketches depict Fischetti's artistic styles as he captured sites he witnessed while travelling. 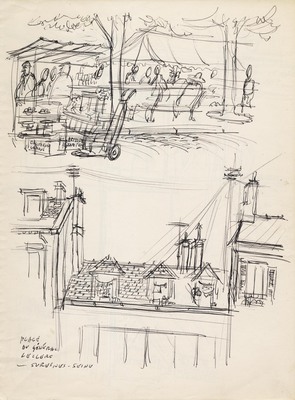 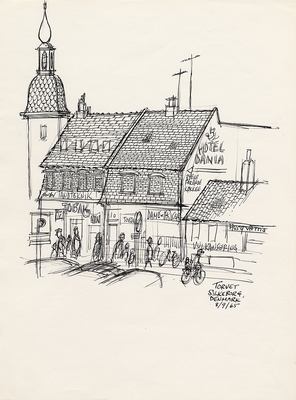 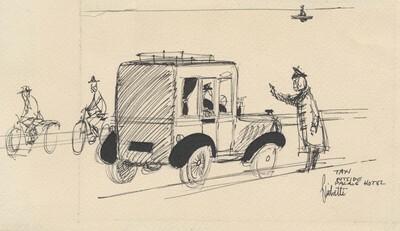 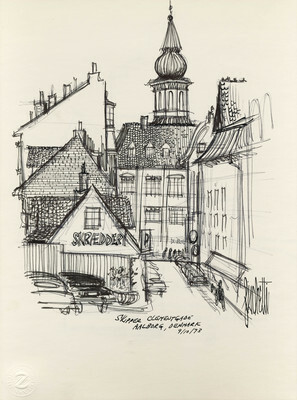 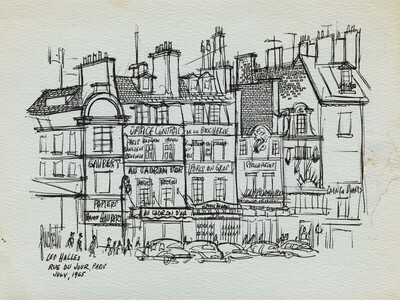 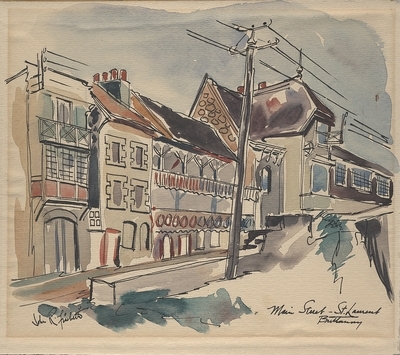 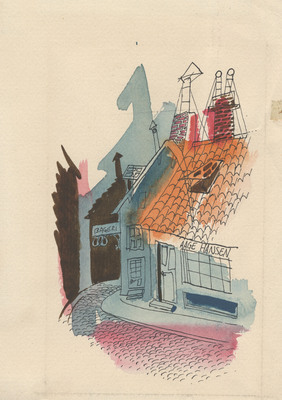 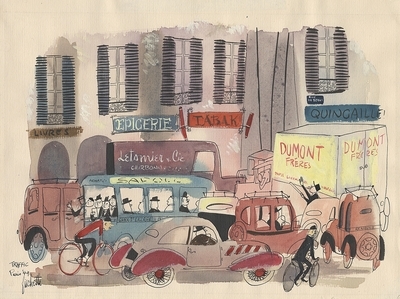 "Main Street, St. Laurent, Brittany"
"American shoes proved to be much more interesting to the Danes than the American wearing them-"
"Hot dog man - Copenhagen style"
"Many Danish women smoke cigars - "
"-Street cars are long and lean"
"The Danes really live when they greet each other-"
"Railroad crossing Denmark Oct '49"
"Sketched from Magasin du Nord Oct '49"
"Far wall Senate Dining Room"